“What’s the deal with Lent?” Worship at 7:00 pm on Wednesday! Last Lenten Dinner…Food & fellowship at 6:00 pm on Wednesday night. Soup, salad, bread, dessert and drinks provided. Come as you are – no need to bring anything – just join with the church family for this meal together before Lenten worship. If you would like to provide soup or dessert, please write your name on the sign-up sheet on the table in the narthex. 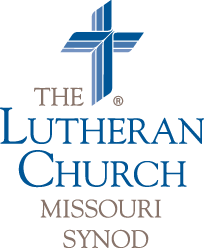 LUTHERAN WOMEN MISSIONARY LEAGUE Spring Mid-Valley Zone Rally will be held at St. Paul’s on Sunday, April 28th, at 2:00 p.m. HELPING HANDS needed! Come, serve, and be a blessing to our sisters in the Lord! Remember, deep purple is the LWML color so dig into your closet to see if you have some purple to wear to the Rally! Please let Cheryl Lowman know how you would like to help or if you plan to attend. Thanks a bunch! LADIES BIBLE STUDY continues to meet the fourth Tuesday of each month. This month’s date is April 23rd! We continue to enjoy growing in-Christ together in our study on WISDOM. All ladies welcome! A Dramatic Presentation of the Gospel of Mark…is coming to St. John’s Lutheran Church in Westfield, MA on Saturday, April 27th, beginning at 3:00 pm. This presentation of the second Gospel of the New Testament is presented all around the country by faculty and alumni of Concordia Seminary, St. Louis, MO. If you would like more information, see the poster on the kitchen bulletin board, talk to Pastor Manor, or contact St. John’s pastor, Rev. David Riley, at dvsriley@suddenlink.net or 413-568-1417.